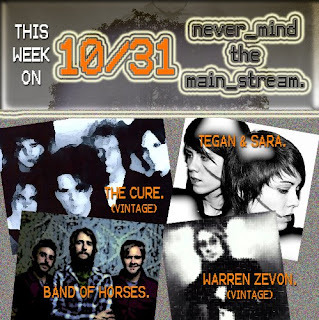 Never Mind The Mainstream on KUR (College Rock Radio): Our Halloween Edition is on Friday! Halloween Night! Our Halloween Edition is on Friday! Halloween Night! It's on, folks! This is it...THE HALLOWEEN SPECIAL! Get ready to be so spooked, that you'll wish you were dead! We got a solid mix of classic and new tunes that circle around the concept of FEAR: M83, The Cure, Interpol, TV On The Radio, Talking Heads, and so much more! Tune in from 6-8 PM @ kur.kutztown.edu. You will not want to miss this!